RETEXTUR-CREME FACE PRIMER - Pump - 1.2 fl. oz.- Refines, hydrates & soothes - TOP SELLER! Home > Makeup > Prep - Treat - Prime > Primers > RETEXTUR-CREME FACE PRIMER - Pump - 1.2 fl. oz.- Refines, hydrates & soothes - TOP SELLER! 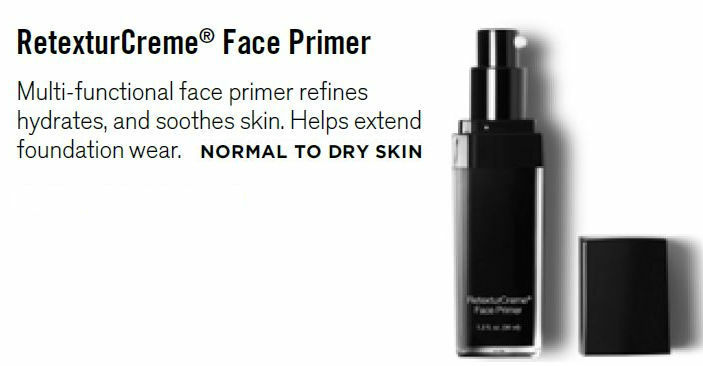 Multi-functional face primer refines, smoothes, hydrates, plumps and soothes skin, as it helps extend foundation wear.